Ringo is the luckiest Drunken Party Monkey ever ! 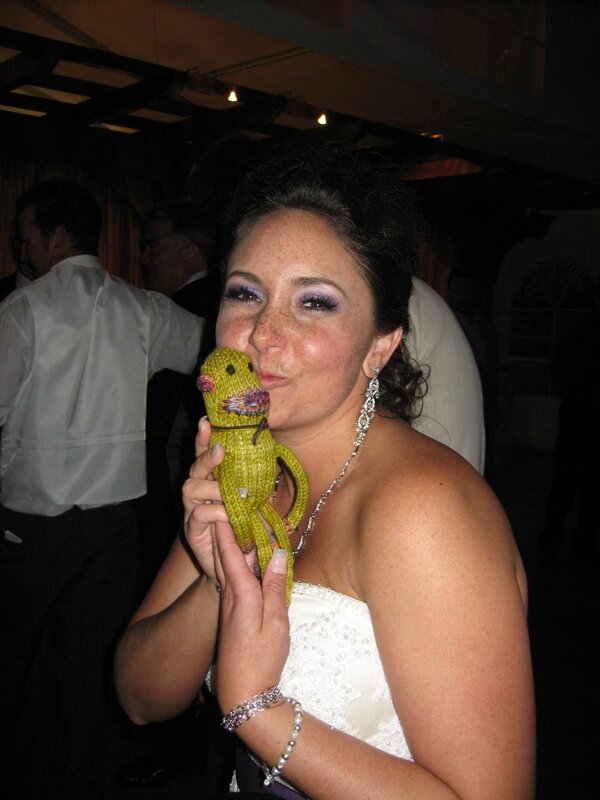 Not only did he stow away in my bag, he got to smooch up on the bride! 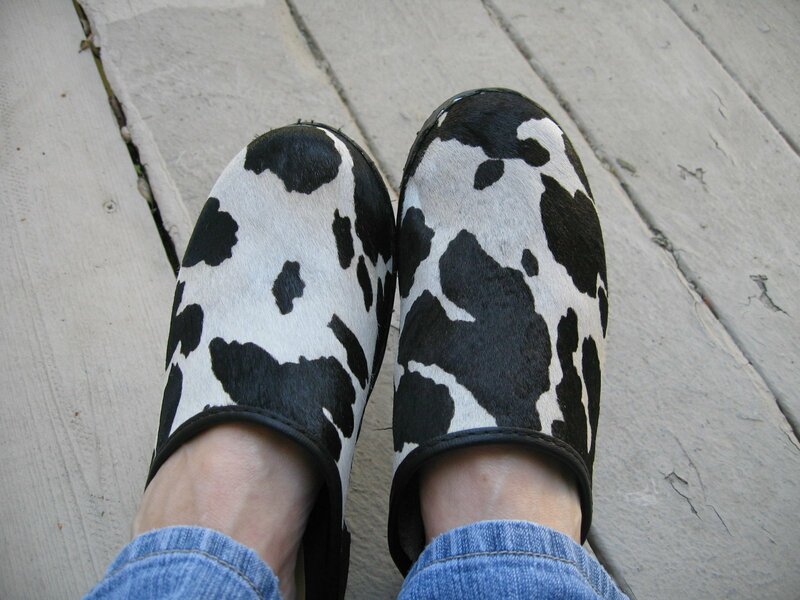 And here he is …………………………………………………………and here are my new Cow Clogs, Carson got them for me for my birthday! They will look great with my STR socks! The agenda for this afternoon—Lush at Universal Studios, then on to Arc Light to see Sunshine Cleaning, by the same people who did Little Miss Sunshine. 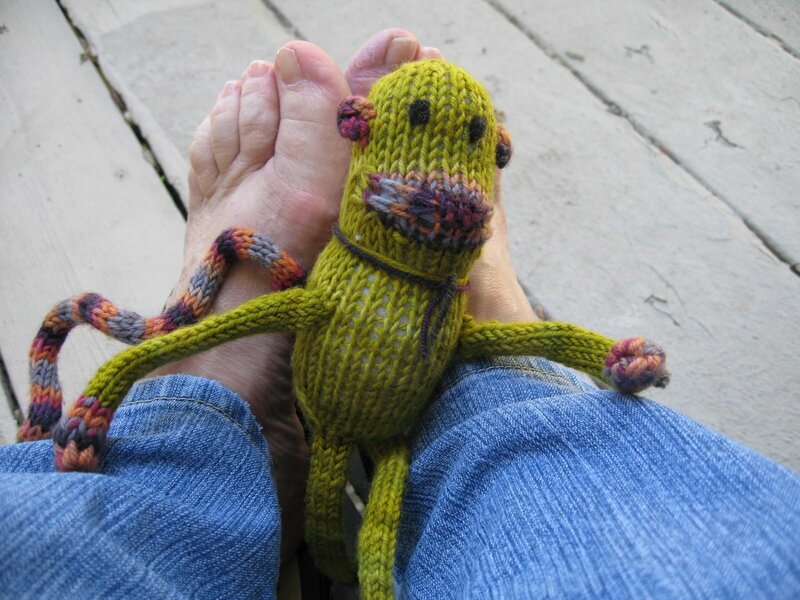 Next Blog post—final touches on my “knit something from the sea assignment” and repacking! Later!